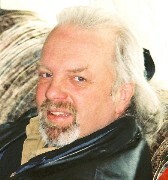 "Great CD - A great combination of Celtic music and Christian message. There are sure a few songs one would want to learn and play." "your music is right up our alley"
"we particularly like your strong voice and the energy you bring to your sound"
"earthy treatment and unusual reading of familiar theological themes ... intense and passionate ... ‘Irish and Scots Celtic’ to the core! ... his style has a robust yet sweet tone too, well suited for the repertoire." "features music to lift the spirit and cheer the soul! I like "All My Needs" and the Celtic/Psychedelic rock anthem, "Lift Your Heads" ... this is music sure to bring a smile!" "UK�s worship scene is enriched by diversity ... earthy treatment and unusual reading of familiar theological themes ... intense and passionate ... ‘Irish and Scots Celtic’ to the core! ... his style has a robust yet sweet tone too, well suited for the repertoire." "begins with an infectious reel called, "I Will Lift My Eyes Up", and drew quite a response from listeners when I played it on air ... interesting album ... a pleasure to listen to. 7/10"
"10/10 A thoroughly appealing offering"
"Praise and worship, nice Celtic feel"
"Immediately identifiable as Celtic, but original ... Ray's Irish origins can be heard in his voice, which was nice. (Not an Americanised delivery). The instruments were well balanced and the sound was tight. A very enjoyable song"
"best of luck in your CD, I enjoyed listening to it!!" "Thanks Raymond this the first time I�ve heard you would love to hear more"
"It was a great song and I'll play it again"
"Excellent! An uplifting song sung and presented well"
"Nice intro, good sound, Celtic feel"
"Today I've received your CD. WWWOOOOOWWWWW!!!!! IT'S FANTASTIC. Congratulations. I loved your music." "I love the rhythm of the verse- well done! Wow, this totally reminds me of the Beatles. Nice bagpipes BTW. Excellent sounding ending. This is a tight, well done piece of work." "Wow. This song has a lot going on. Some parts remind me of Beatles and Queen. Anyway, I really like the UK/Irish music influence. Look forward to hearing more." "This is a truly different CD than you might expect for one with Celtic music on it. If you put it on and listen without expectations you should walk away quite happy! You'll find Scottish and Irish music, bluegrass, rock and Jewish/Israeli worship music, all carrying a spiritual message. The music is uplifting, and the mixture of styles is interesting. Don't miss the first track, I Will Lift My Eyes Up, which leaves you feeling really good with it's Celtic sound and spiritual message. The Celtic songs worked better for me than the rock-style ones, but the lyrics overall carry a positive feeling throughout the CD which is actually a nice change from the standard fare. The Jewish/Israeli worship songs worked well too. Even though they had a totally different feel, they weren't such a stretch that those who like the other tracks would want to pass on them. The spiritual messages throughout this CD were really what tied it all together. Don't expect your typical Celtic-style album and you will be pleased with the variety offered here. A good choice for those who would like a little bit of a lift and something different." "very impressed by your 'INTO JERUSALEM' CD and wish you success as I think it has high promise and potential." "this is wonderful worship! I have had opportunity to listen to a number of the tracks, and I was truly blessed by them all. THANKS! \o/"
"... an Irish gem. I've wanted to feature this talented Irish songwriter for a long time. 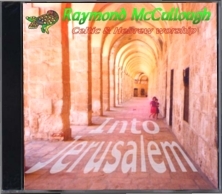 Raymond combines traditional Celtic music with contemporary songwriting while fusing musical styles from China and Israel with Celtic Christian themes. He has a totally unique musical style that's had him topping the charts on various Celtic Christian internet radio stations." "... just received the CD! "What a fun song! I loved it! Catchy and uplifting! Sound quality is great. All in all this was - SWEET ! "Very nice!!! I can hear congregations singing this!!!! I like it.... can't find anything to critique.... I just LIKE IT!!!"